Many of us are either creeping up on menopause, or we’re already there. I actually had a hysterectomy last year. So when Lorraine reached out and asked if I’d like to check out her book, The Magic of Menopause, I quickly said yes. As women, we’ve all heard the horror stories of menopause from the matriarchs in our families. From hot flashes, to night sweats, weight gain and more. As if menstruation wasn’t bad enough! In all honesty, I started menstruating at NINE years old, and then at thirteen, I started my battle with Polycystic Ovarian Syndrome, which led to Endometriosis in my adult years. So I was ready for my hysterectomy, but that still didn’t mean I knew exactly what to expect, or how to deal with it, and live with it. That’s where Lorraine’s book comes in. Through her book, Lorraine will give you her secrets to get a better night’s sleep. (God knows, we all could use that.) She will teach you how to balance your hormones holistically too! This was the part I was most concerned about. I’m currently thirty-seven so my doctor has me on synthetic hormones because I’m too young to actually go through menopause. However, when I am ready to be in REAL menopause, I want to take the holistic approach. In her book, Lorraine walks you through the steps to take to a healthier lifestyle. In all seriousness when we’re healthy, we really are happy. 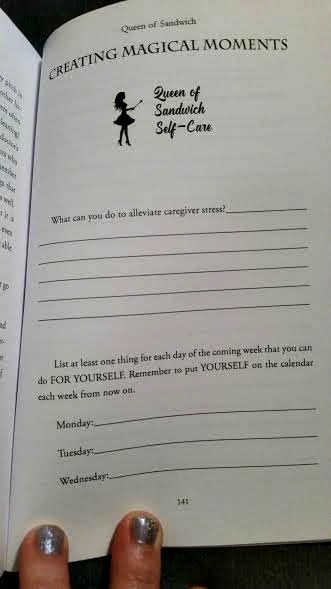 The Magic of Menopause will also give you ways to say goodbye to your anxiety and depression. Lorraine will teach you how to holistically balance your hormones, improve your libido, get a better night’s sleep, and more. ALWAYS make time for YOU! Lorraine is a Certified Integrative Health Coach. She received her training from the Institute of Integrative Nutrition in New York City. She is super passionate about helping women in ALL stages of their menopausal journey. Married for thirty-six years, Lorraine is a mother of three adult children, and a grandma to four. 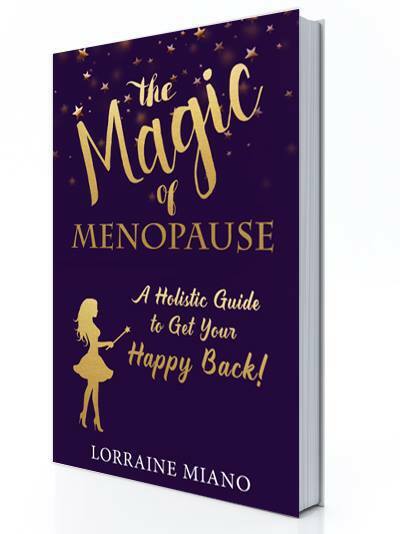 To get Lorraine’s book The Magic of Menopause, click HERE. You can also connect with Lorraine on her website and Facebook.